Coming from Milan, Italy, Destrage pops out with a music, visual and live attitude. 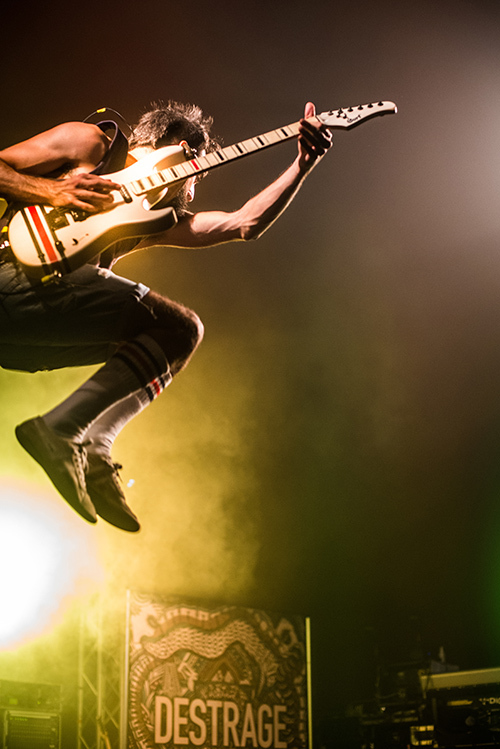 Destrage takes a big deal of being authentic and honest. 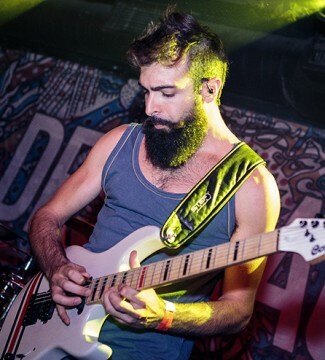 Anyway, if you really need to hear some prepacked description made out of popular music genres, so you would be more comfortable understanding what the band does, say Destrage is a variegated mix of Modern Metal, Rock and Roll, Math Core and Progressive Rock, you name them. 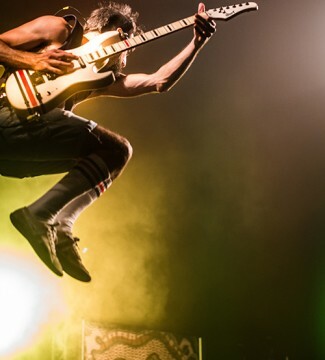 An incredible mix of speed, technical skills, humour, core, sickness through melodic, insane and killer songs. 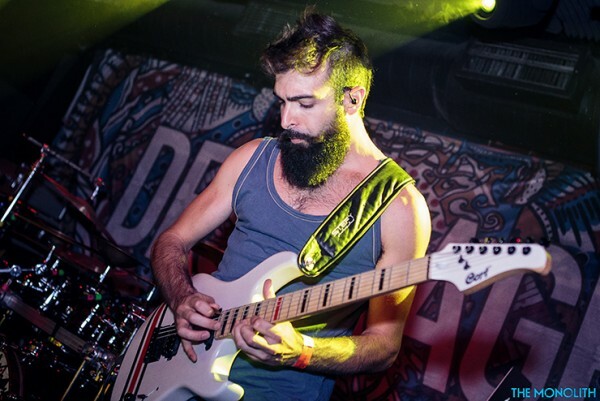 Matteo di Gioia is the guitarist and main composer of the Destrage and he takes as well of artworks, graphics and videos. he has been using Cort EVL and Z series for 5 years or so.